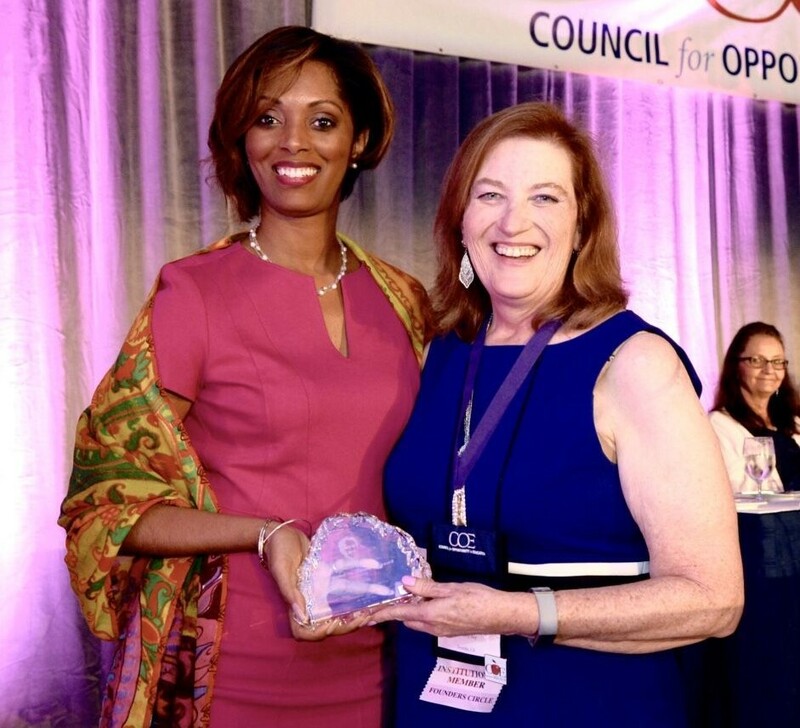 SEASIDE, Ca., September 18, 2018 – The Council for Opportunity in Education (COE) honored Joy Brittain, Senior Director of Early Outreach and Support Programs at CSUMB with the national Walter O. Mason Award for her service within the TRIO programs with the United States Department of Education. V. Kaye Monk-Morgan, 2017-2018 Board Chair, Council for Opportunity in Education. The Walter O. Mason Award is the highest honor awarded by the Council for Opportunity in Education and recognizes individuals for outstanding contributions to college opportunity programs and the advancement of educational opportunity for low-income, first-generation students and students with disabilities. Walter O. Mason is credited as one of the creators of the Federal TRIO programs and this prestigious award is the highest national honor given by the Council for Opportunity in Education, for distinguished service and leadership.